Sinister Wisdom 78/79: Old Lesbians/Dykes II celebrates the diverse voices and images of Lesbians age 60 and older. 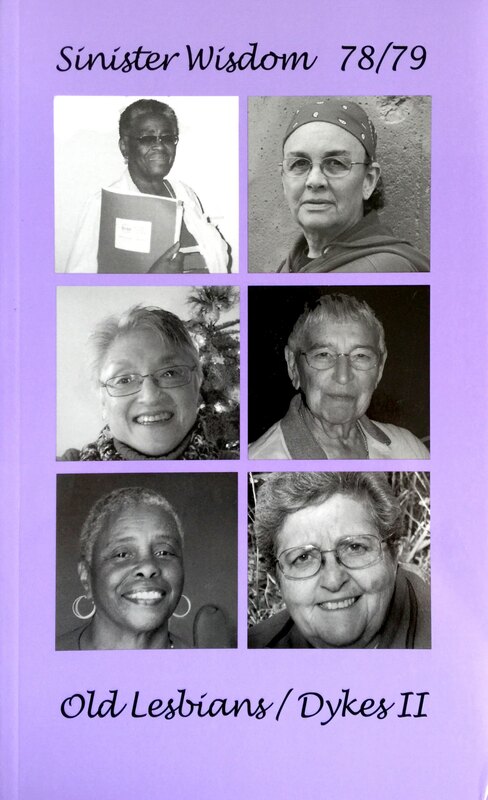 In 1994, Sinister Wisdom was guest edited by nine old Lesbians (Jeanne Adelman, Dotty Fowler, Marge Green, Rosemary Hathaway, Vera Martin, Joyce Pierson, Ida VSW Red, Kate Rosenblatt, and Mickey Spencer). Now, fifteen years later, we respectfully follow in their heartsteps.